Allie will embrace her cold vampire side to hunt down and end Sarren, the psychopathic vampire who murdered Zeke. But the trail is bloody and long, and Sarren has left many surprises for Allie and her companions, her creator, Kanin, and her blood brother, Jackal. The trail is leading straight to the one place they must protect at any cost, the last vampire free zone on Earth, Eden. And Sarren has one final, brutal shock in store for Allie. In a ruined world where no life is sacred and former allies can turn on you in one heartbeat, Allie will face her darkest days. And if she succeeds, triumph is short lived in the face of surviving forever alone. Allison has tried to fight her inner monster, but now with the one person who believed in her humanity is gone, and Allie no longer cares. Blinded by rage, she has vowed to avenge Zeke's death. Along with sire Kanin and blood brother Jackal, the road to Sarren is paved in blood. The psychopath vampire carries with him a mutated strain of the Red Lung virus, the outbreak created a hell on Earth sixty years ago. The only safe refuge for humans is the aptly named Eden, the small island community where scientists were attempting to develop a serum to inoculate against the Rabids. But Sarren has Eden in his sights, and plans to unleash the virus on where it will hurt Ellie the most, with the humans who she would have done anything to protect. The Blood of Eden series is by far one of my favourites. Allie has transformed from a Fringer, a girl who lived on the streets as a protest against their Vampire Lords, refusing to donate her blood the way her mother did. Now she's a Vampire herself and deals with the constant battle between living as a monster and retaining her humanity. She's tough, determined and now seeking revenge for the death of the boy who taught her how to live. But Sorren is as cunning as he is manipulative and viscous and won't go down without the fight of their immortal lives. 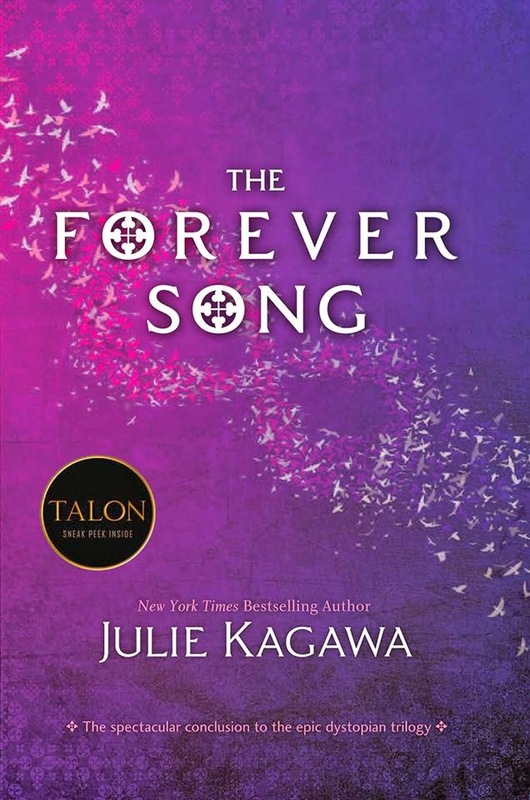 Julie Kagawa is brilliant, she not only created a frightening and devastating world, but filled it with incredible characters that you'll either loathe, or grow to love. I simply love Jackal, his quick wit keep the otherwise dark storyline, light and breaks up with tension with brilliant banter. Like Warner's character in the Shatter Me series, Jackal makes the transformation from villain to likable hero as he joins the battle against Sorren. 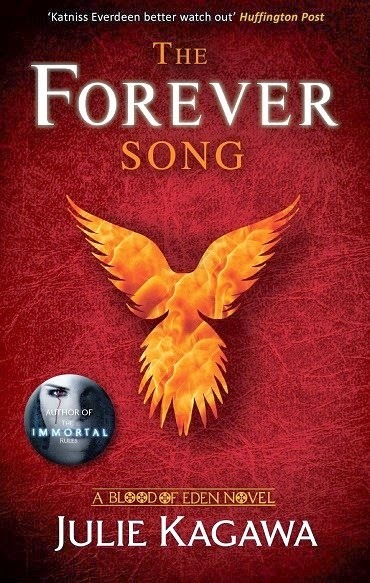 The Forever Song wraps up quite nicely, but feels more opened ended than the happy ending most of us are hoping for. It'll leave fans asking if this really is the finale. I for one would love to read more about the dystopian world that Julie Kagawa created, and whether or not society will recover. But as far as endings go, this one is pretty damn good. Oh wow, how did I miss this when it was on NG? I can't wait for this to come out! I'm glad the ending was fantastic, it's a shame it was open ended though. Maybe there'll be something else coming out in the future in the same universe. Apparently it was only available for the week, but Harlequin Australia has put up the Australian cover copy to request, definitely grab it while you can Jeann. I absolutely love this series, but I'm hoping it might continue on in another form.